In August Synchroblog will be partnering with Provoketive magazine. 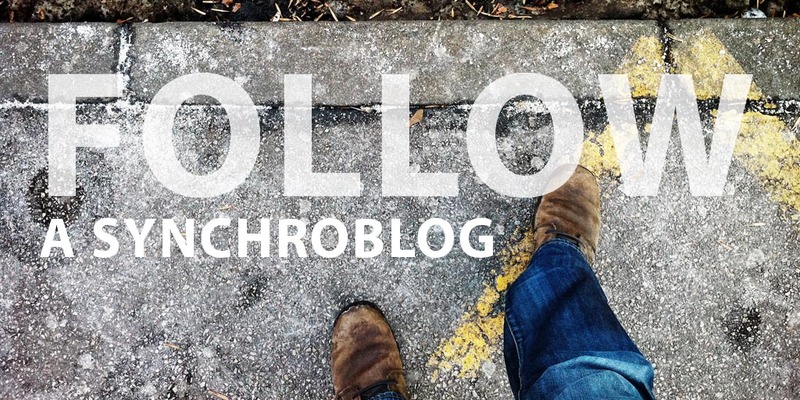 Provoketive will be hosting the Synchroblog for the month of August as we consider the concept of Following Jesus. In order to for an article to be considered for this endeavor the author should sign up to be a writer for Provoketive first. If you have already done this, you do not need to repeat the process. It is very easy, and all of the instructions are below. The topic: Follow. In August we are going to consider the idea of following. Jesus said, “Take up your cross and follow me,” and that has powerful implications in the way we live. How does that affect you? We believe the power of voice has tremendous capacity to inspire and encourage people. Provoketive is a space to explore our humanity, who we follow, and who is following us. 1. Sign up to be a writer on Provoketive. Click here <http://provoketive.com/writing-for-provoketive/> and fill out the form. We’ll send you all the instructions to add your post. This step is unnecessary if you have already registered. 2. Write and submit a 500-1,000 word post on the subject of following. Some things to consider writing about include: what are the rules for following Jesus? Are we going somewhere when we follow Jesus? Has your journey changed over time? Is there more than one way to follow Jesus? What are the markers of a person following Jesus? You may post the article on your own blog if you wish, but wait for the schedule to be posted after August 1st. 3. All posts must be submitted to Provoketive by August 1. 4.The articles will be posted on Provoketive each day throughout the month of August. 5. A schedule will be provided in early August so that authors know when they will be featured on Provoketive’s website.